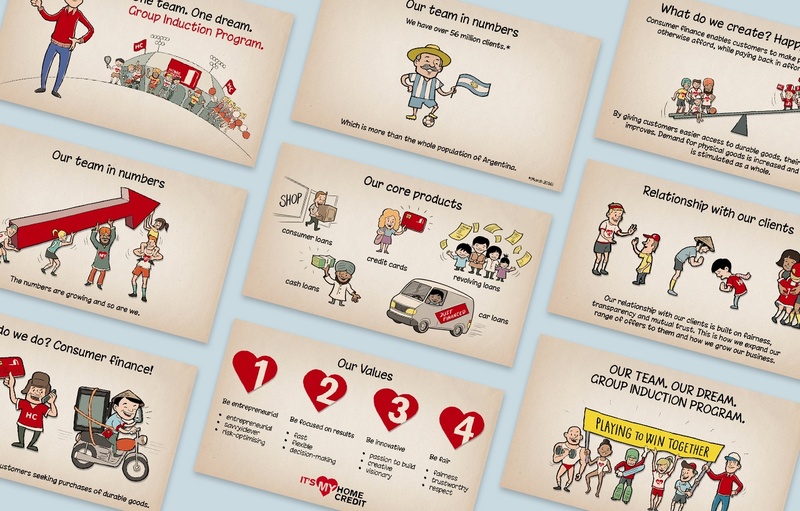 We are a supporting agency for Home Credit HR departments, delivering content to over 11 countries. 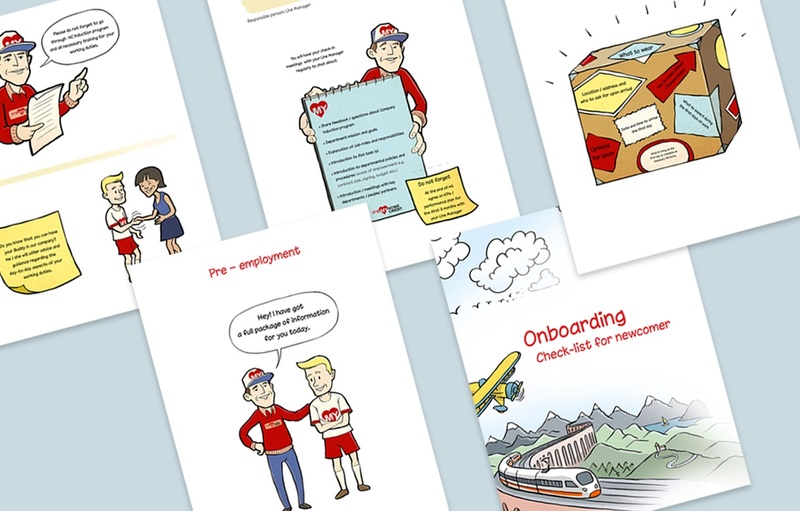 We prepared a comprehensive set of materials that are now used in the onboarding process for new employees. The aim was to introduce the company, its history, products, culture and style and at the same time explain the onboarding process. 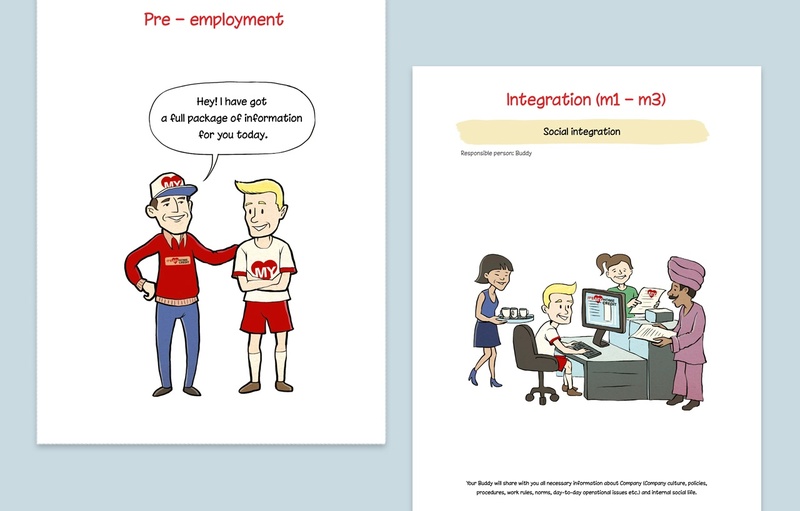 We provided an enjoyable experience for new hires to begin their workplace experience.